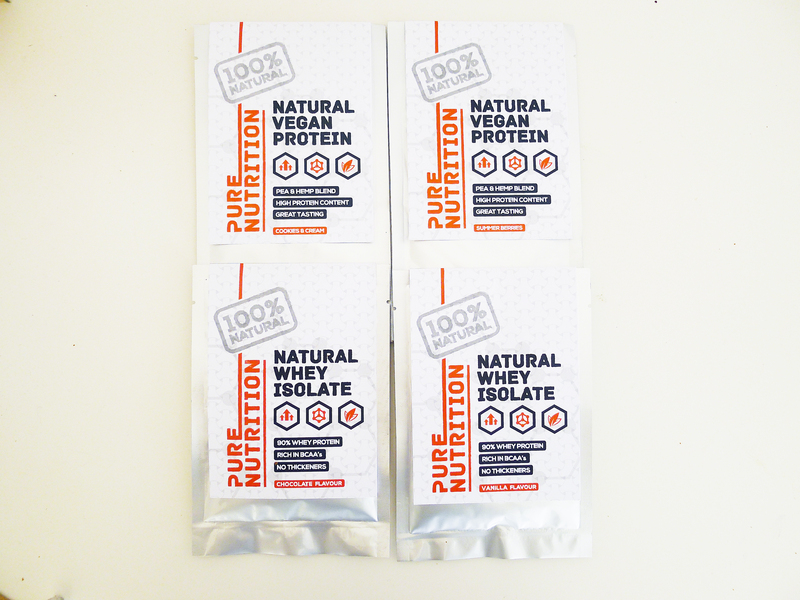 Pure Nutrition recently sent me their Whey Isolate Protein range and Vegan Protein range and they all taste absolutely amazing! I was impressed to find that the protein powders are sweetened with natural sweeteners; xylitol (which is great for teeth health) and stevia, and they are naturally rich in all essential and nonessential amino acids, including Branched Chain Amino Acids (BCAA’s) which are vital for muscle growth and repair. The ingredients they have used are also 100% natural! Unlike the majority of sports supplement products on the market, they have stayed away from using artificial ingredients. With no artificial ingredients used and no artificial sweet taste you would normally find in whey isolates, the vanilla and chocolate flavours taste just like a milkshake even mixing it with water! Imagine Vanilla and Chocolate milkshakes with none of the nasties and high in protein! Their Vegan Protein is a unique blend of Pea Isolate and Hemp Protein, which provides impressive levels of quality protein and it uses all natural flavourings and 2 natural sweeteners Xylitol and Stevia! I have to say I am not much of a Pea Protein fan because of the taste it gives off, but the cookies and cream and berry flavour is one of the best I have ever had! All four of the proteins I tried are very smooth and thick even when mixed with water and you won’t find any lumps in them! I usually throw in the powders in my Smart Shaker and fill half of the shake with water and shake. My favourite is the Vanilla Whey Isolate which takes like vanilla milkshake! 1. In a bowl, combine all the ingredients apart from the chocolate chips until it is well combined. It should be very smooth like a doughy texture. 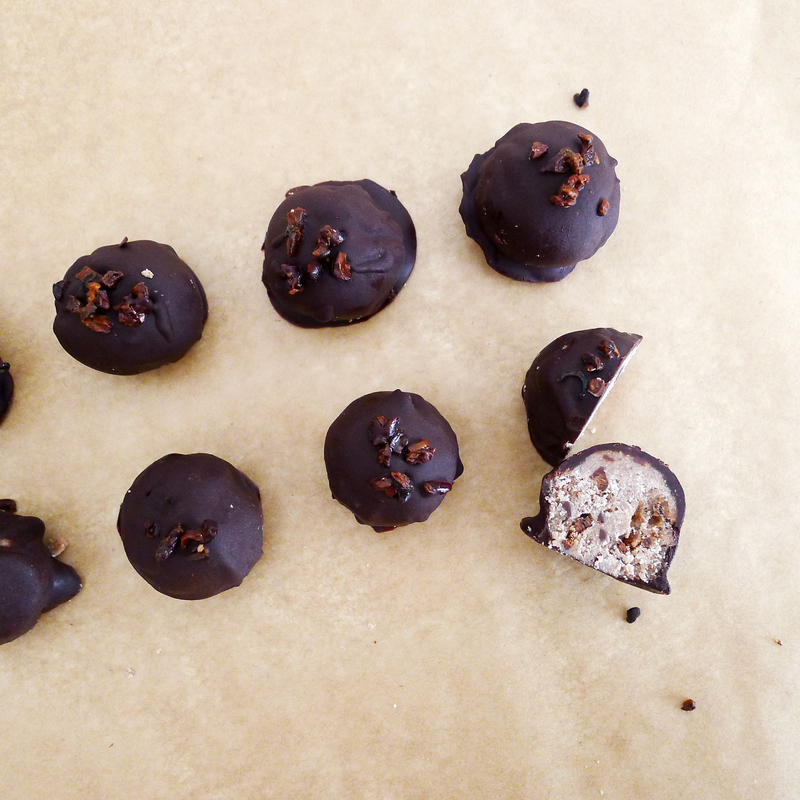 Fold in your chopped chocolates and cacao nibs. 2. Roll your cookie dough, roughly 10g each and set them on a baking sheet. It should be enough to make 10. Set Aside. 4. 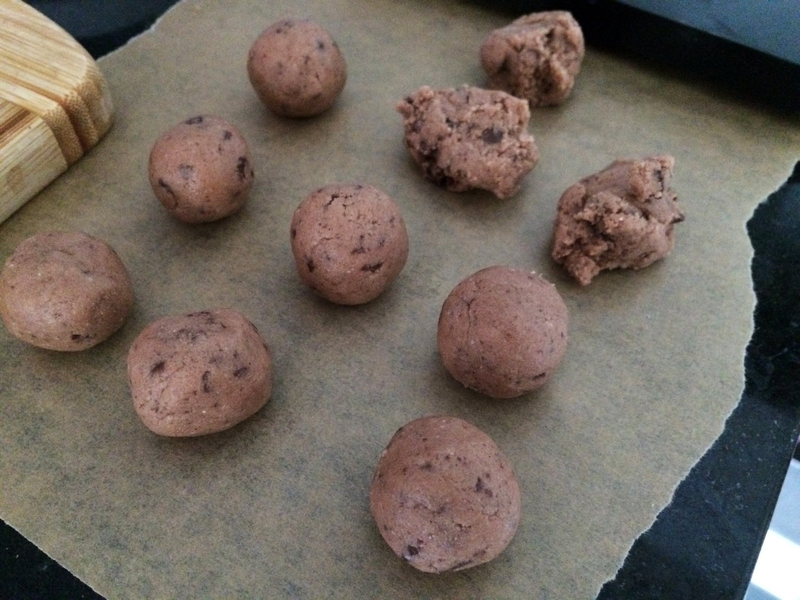 Remove from heat and set them next to your sheet of cookie balls. 5. 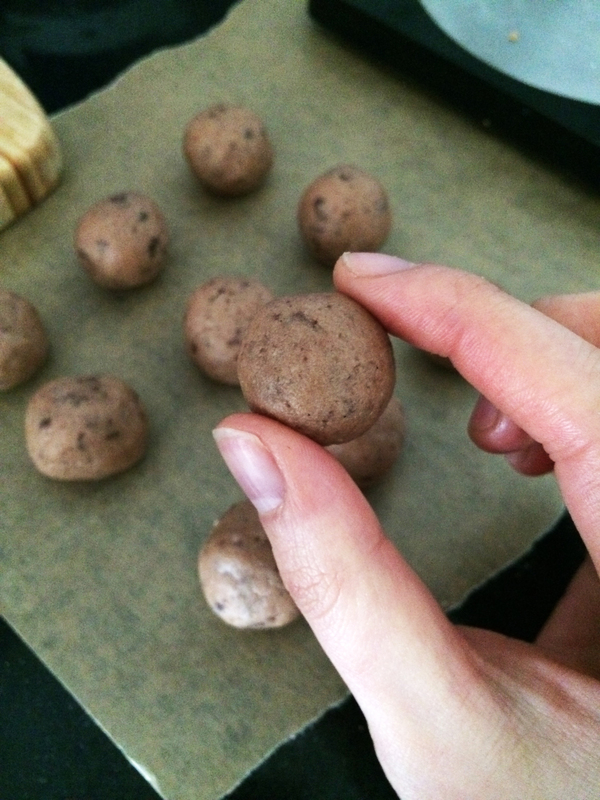 Using a fork or toothpick, coat your cookie balls with the melted chocolate and set it back on the baking sheet. 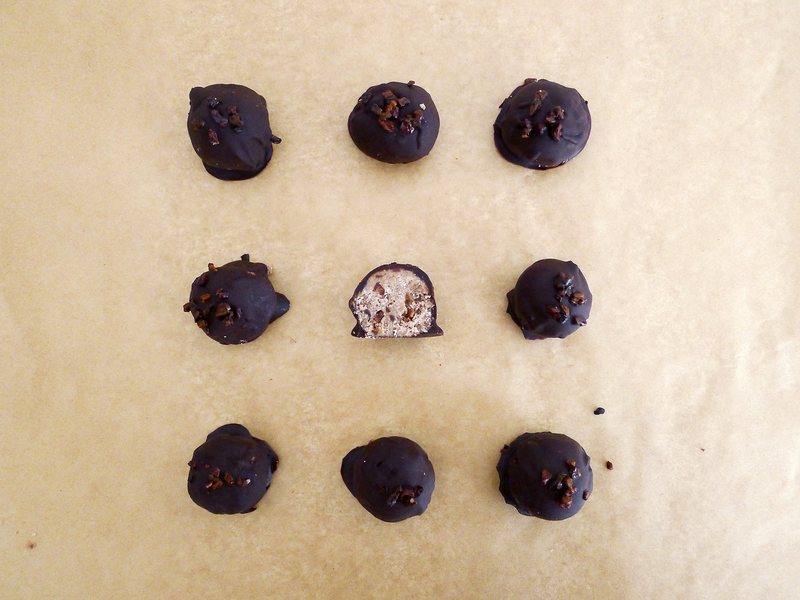 Repeat until all the cookie balls has a nice layer of chocolate coating and fully covered. 6. 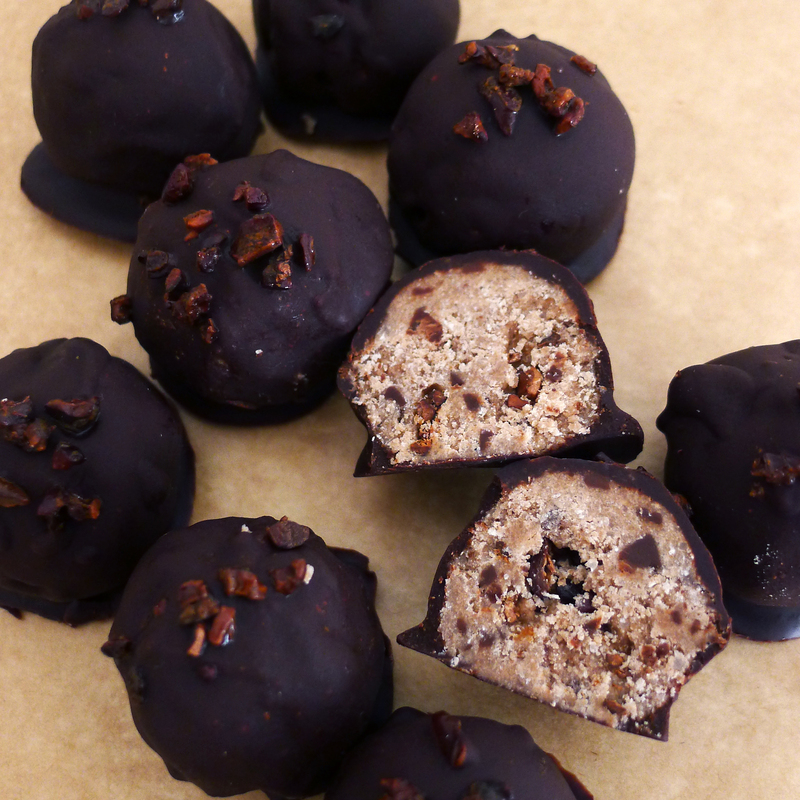 Sprinkle more cacao nibs over the truffles and place them in the refrigerator until chocolate sets. 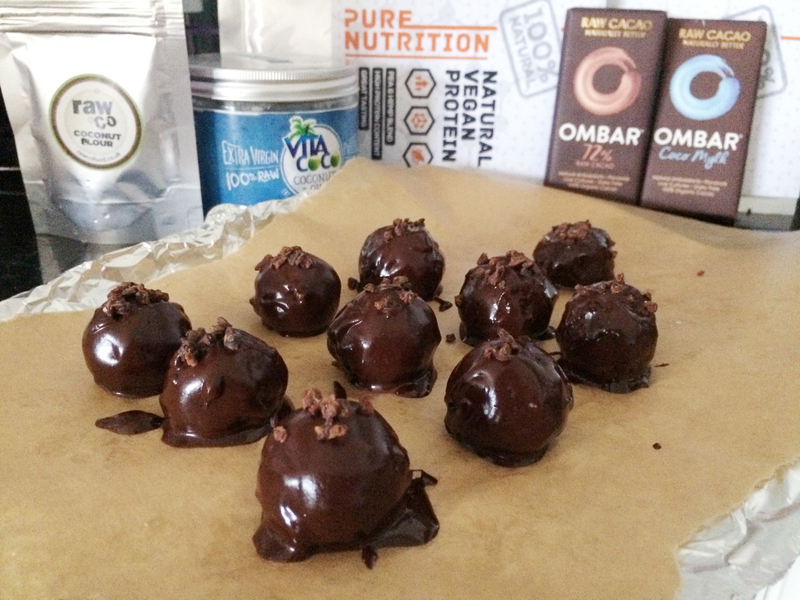 These bite-size truffles make good presents and sharing. But trust me, after your first bite of these, you wouldn’t want to share them!